It’s true what they say about necessity being the mother of invention, or at least it is in Sarah Brown’s case. The former public relations professional was a long-time sensitive skin sufferer who couldn’t find products that didn’t further irritate her skin. It was this personal need that drove her to create Pai Skincare, the organic skincare line loved by celebrities like Natalie Portman, Mila Kunis and Lana Del Rey. A legitimate cult favourite, the line uses one of the purest ingredient policies on the market and is the only certified organic range for sensitive and delicate skin types. It launched in the U.K. in 2007 and has recently landed on Canadian shores, currently available through the brand’s website and at select stores across the country. 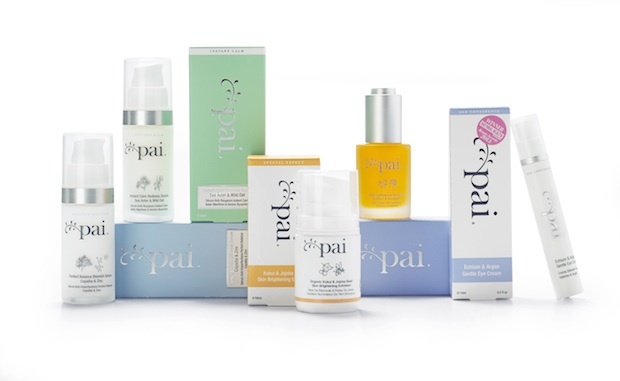 Pai Skincare is certified organic by the U.K. Soil Association, uses only the highest grade botanically active ingredients and is created entirely in-house at Pai Skincare’s London lab. Every year, the team of sensitive skin experts adds new items to the line, which includes must-have products like Echium & Amaranth Age Confidence Facial Oil, Comfrey & Calendula Calming Body Cream and Camellia & Rose Gentle Hydrating Cleanser.